Our goal is to develop retail focused tools that make online marketing quick and easy for our clients. 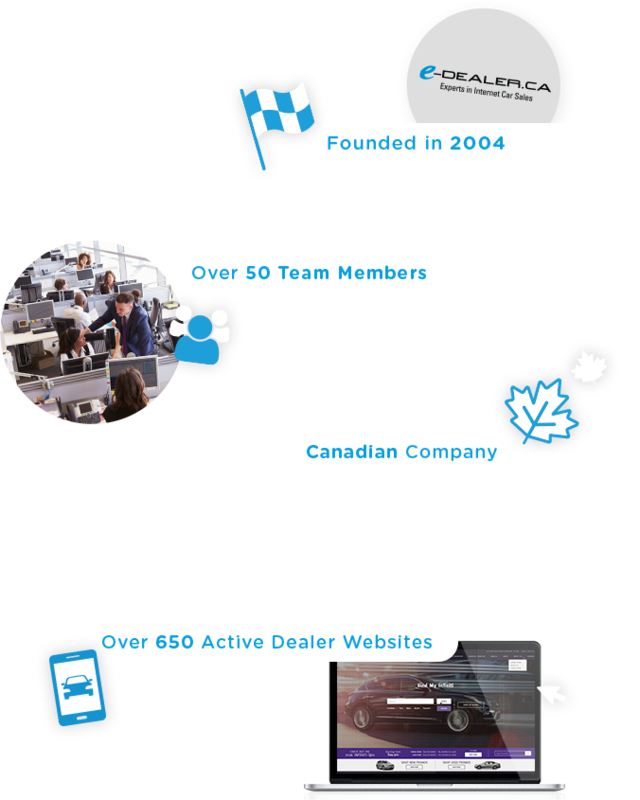 Sub-Prime lead generation is where Edealer first made its mark in 2004. 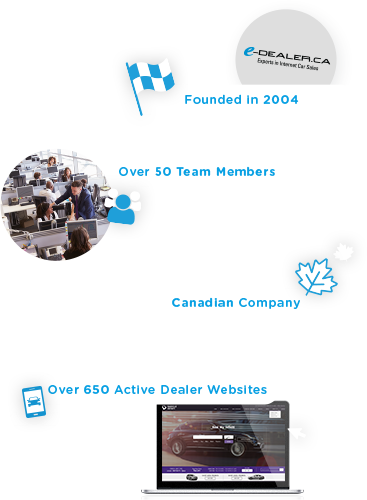 Generating credit leads across Canada and providing trusted dealers in the network with opportunities to grow their business. Building a lead management system was the next natural evolution in creating efficiency for distributing and managing leads. When clients recognized growing opportunities in the online retail space, our role in their success grew. First with geo-targeted sub-prime dealer websites, then with dynamic search engine optimized inventory. 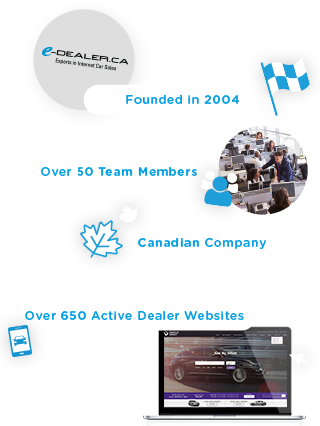 As online opportunities continue to grow, Edealer expands its technology and resources to exceed clients’ expectations. With offices in both Toronto, ON and Ottawa, ON we have seen consistent growth for over a decade. Today we are focused on merchandising automation and vehicle optimization. Consistent with our long-term goals, our objective is to reduce the time required by dealers to reach the maximum number of customers with consistent, accurate, merchandised inventory.